Guitar players come in all shapes and sizes but they all can (in some form or fashion) fall into a few recognizable categories. Musicradar.com gave it go and compiled a list of 11 unofficial guitarchetypes (we came up with that term). 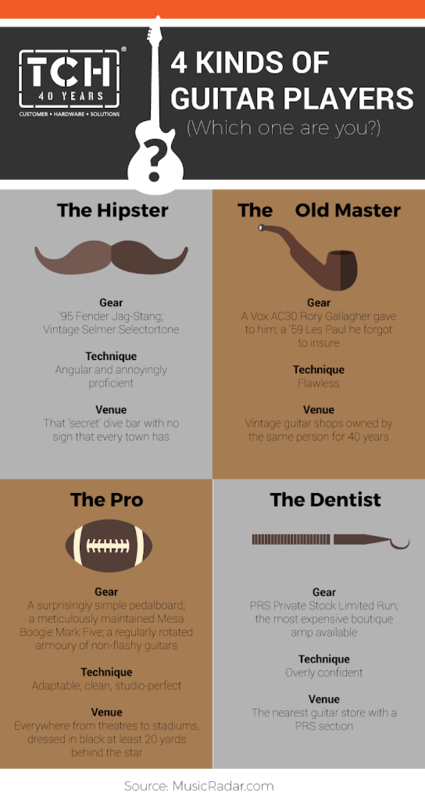 We liked it so much we chose four of favourite types and turned it into an infographic. Take a look and let us know if you see yourself in any of these profiles.